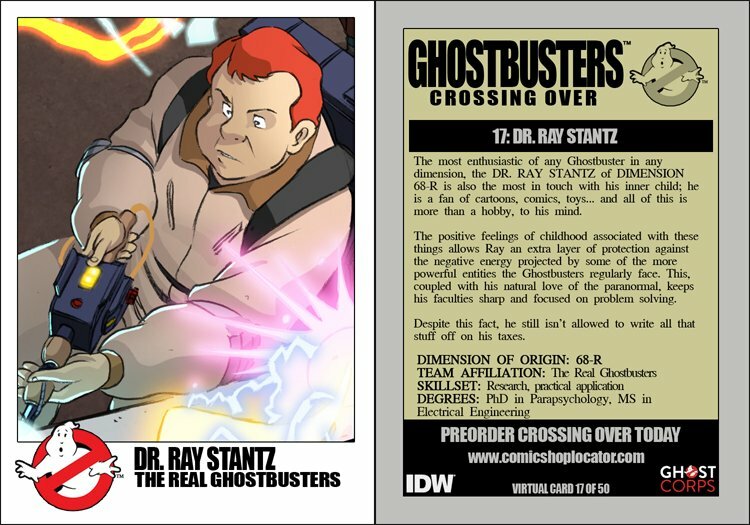 The most enthusiastic of any Ghostbuster in any dimension, the DR. RAY STANTZ of DIMENSION 68-R is also the most in touch with his inner child; he is a fan of cartoons, comics, toys... and all of this is more than a hobby, to his mind. The positive feelings of childhood assocated with these things allows Ray an extra layer of protection against the negative energy projected by some of the more powerful entities the Ghostbusters regularly face. This, coupled with his natural love of the paranormal, keeps his faculties sharp and focused on problem solving. Despite this fact, he still isn't allowed to write all that stuff off on his taxes.